My friend Tasha at Designer Trapped In A Lawyer’s Body wrote an ebook called Affiliate Marketing For Bloggers roughly a year ago that changed my world. Drops mic. And this week she is introducing a brand new ecourse and the 2nd revision of that ebook and I want to let you in on a little secret. I love it even more. I’ve always been fairly passive with the whole income situation on my blog. You see, I didn’t get into blogging to make money. I started out, like so many of us did back in the day, of using my blog to let my creative monkey fly its freak flag. 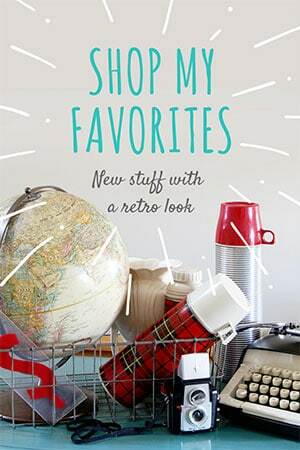 Hey guys, this is going to be a little different than my normal vintage/thrifting/gardening posts. It’s LONG and it’s geared toward bloggers, so if you’re not a blogger nor interested in making money on your blog, you might want to check out some of my seasonal porch decor ideas or some of my past fall ideas (it’s never too early to plan your fall decor). At that time, back in 2010, I had just recently quit my job to stay at home with my son. And my mom had just died. And I needed something to get my mojo back and let out some of my pent up creativeness. So I started a blog on a whim on a holiday weekend that summer of 2010. And no one read it besides my sister and niece. And then a funny thing happened, about two months into it, people I DID NOT EVEN KNOW started reading my blog!!! People I would never have ever met in real life were reaching out to me. And liked what I did! It was wild. And I was hooked. But you can spend a LOT of time writing a blog. Way more than the average person thinks. And at some point you figure that if you are going to be putting in these kind of hours (for something you totally love, by the way), it would only make sense to be getting paid for a portion of the time. At least enough to cover hosting fees and all the little costs of blogging that ad up FAST. 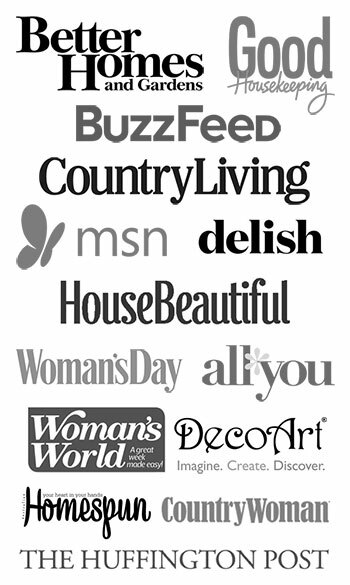 Ad Networks (ads on your sidebar and in posts). This revenue is totally based on pageviews, which is a good thing if you have a million pageviews a month (I do not) and not a good thing if you have a newer blog or one that hasn’t quite “taken off” yet. Sponsored Posts (where a company pays you to introduce their product to your readers). You can make a fair living by doing these posts, but I do very very little of these just because I don’t feel as comfortable putting them out there. No judging, just saying for me they aren’t a big money maker. Selling Products (an ebook, a physical product, an ecourse, a service). I haven’t gone down that path yet, because who has time to develop a product or book when I barely have time to go to the grocery store). Affiliate Sales (stores give you a percentage of the sale price, at no additional cost to your readers, when the reader buys something through a link on your site). Ding, ding ding!!! Now back in January of this year my friend Tasha at Designer Trapped In A Lawyer’s Body, who I mentioned earlier, quit her full-time job as a LAWYER to stay home and blog full-time. Yes, she makes more blogging than she did as a partner at her law firm. Maybe this is where I should have dropped the mic. And she has launched a new BRAND NEW ecourse to teach other bloggers how to earn real money while pursuing their passion for blogging. 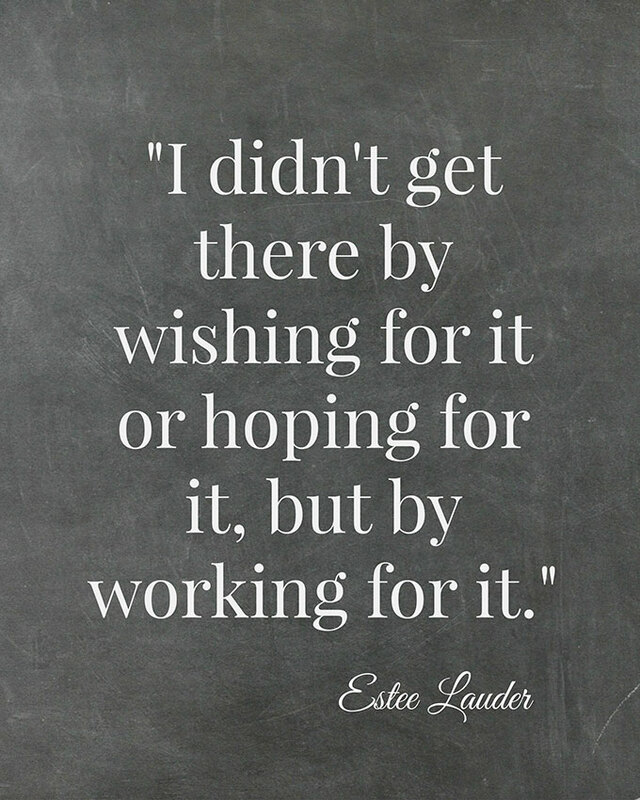 It’s called Affiliate Marketing for Bloggers and it’s AH-MAZ-ING. In the course she teaches you how to make real money through affiliate marketing in a way that your readers will love and appreciate. For example, I can’t tell you how many emails I have had over the years from people asking where they can buy black-eyed Susan vines after reading my Black-Eyed-Susan Vines aka Heaven On Earth post. Duh, maybe if I give them a link in the post to where they can buy the seeds they would appreciate it??? That is just one teeny tiny little tip out of hundreds that I got from Tasha’s book. And this new ecourse is so much more than just a book. Tasha’s ecourse is for bloggers at all levels. Whether you have never attempted affiliate marketing before and are starting at the beginning or you are already earning some some revenue from affiliate marketing and want to up your game, this ecourse is for you. The Affiliate Marketing For Bloggers course literally teaches your everything you need to know to earn money through affiliate marketing without alienating your readers! And that’s a big one right there. Who wants to turn off the readers you worked so hard to find and who trust you and love you? 24 video lessons, divided into 6 units. The video lessons total almost 7 hours in length. That’s a TON of information. And can I add here, that Tasha is a hoot! I love her teaching style and fell in love with her wit from Day 1 (she’s like a non-creepy version of myself). Access to a private Facebook Mastermind group where you can ask Tasha (and other awesome bloggers in the group, me included) about affiliate marketing whenever you want. It’s like having a private affiliate marketing coach for free and honestly, this is a HUGE plus for me! 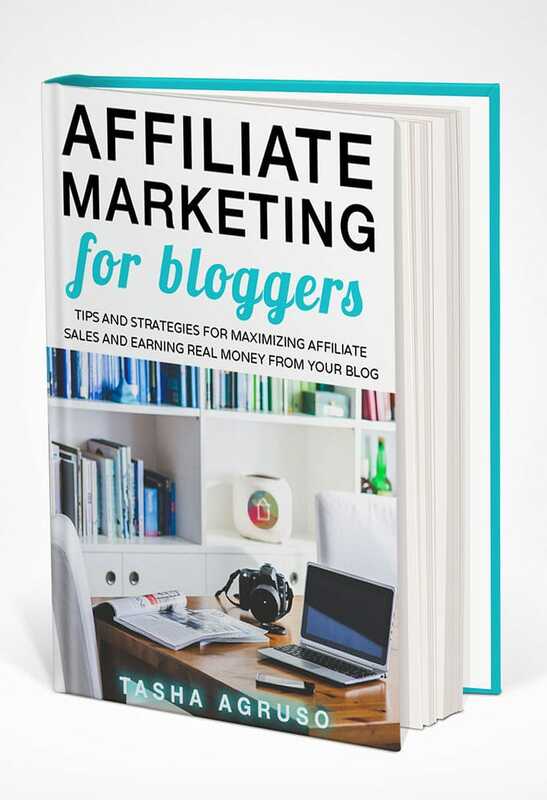 A free copy of Tasha’s 2nd edition of Affiliate Marketing For Bloggers, the eBook. It’s totally updated to reflect the changes that have occurred in affiliate marketing over the past year (hello, Pinterest!) and is 50 pages longer than the 1st edition (there’s loads more information included)! Worksheets and checklists to keep you on track and organized. All of this information is housed on a fancy new site where you can log in at your leisure and learn at your own pace. Want to watch a video at 2:30 am? Go for it (although I’ll be fast asleep in my bed right about then). I think the number one thing I like about affiliate marketing above all other ways to earn money blogging is that it is a win win (win win win). My readers can find information on where I bought the supplies needed for the projects I show on my blog and it doesn’t cost them anything extra and it puts a little change in my pocket (but oh, does that change add up). 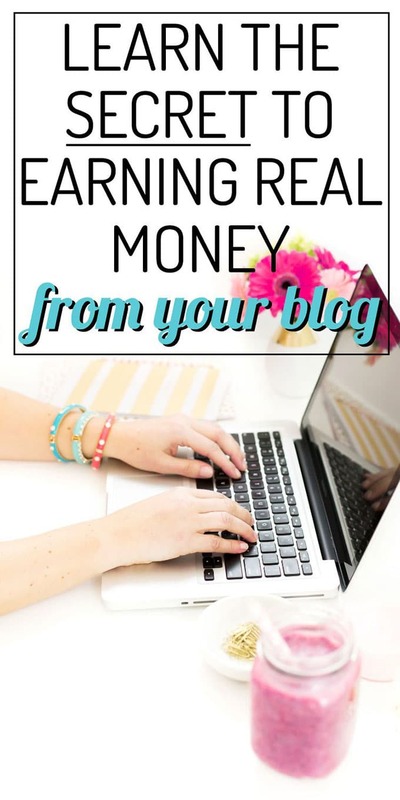 So, if you find yourself spending lots of time on your blog, but earning little to no money, this course may be the answer. Tasha has a special launch price going on now that will only be offered for a limited time and the course will never be offered at that price again. But how well do her methods and ideas work? Since I’ve read her book and watched her videos (1st edition back in September last year) my income from affiliate marketing has increased from roughly $75-$100 a month (pre-Tasha) to $1,200-$1,500 (post-Tasha). And I’m constantly working to improve that, so I can only see that rising (especially after getting the new ecourse and 2nd edition of the book)!!! My goal is to use affiliate sales as my main income earner and to eventually do away with all ads on my sidebars. How cool would that be! The bottom line here people is that the course will pay for itself over and over again. Snag it while you can at the introductory price. And I know that this sounds like an infomercial!!! But I really wanted to tell you guys about her ecourse and just how much I LOVED it! And then I got all into selling you ginsu knives . . . I promise I’m not going to offer you a second ecourse for just the price of shipping! Thank you so much for mentioning that!!! I fixed them! Definitely going to look into to this. i need an income from home and this looks like a good possibility.